Year after year we continue to receive numerous positive recommendations for Duncan Sweet and his crew at Mid Atlantic Yacht Services have been assisting the transient yachting community in the Azores since 1992. 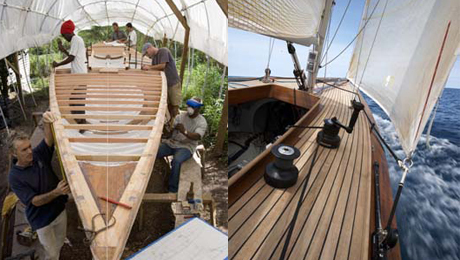 Antigua based Woodstock Boatbuilders offer world class, luxury yacht refurbishment and refitting services: full carpentry services, engineering, hydraulics, refrigeration & air conditioning, metal fabrication, a dedicated paint team and even marble refinishing! Come highly recommended. Richard Dupuis has over 22 years of experience in his trade of refrigeration in Guadeloupe, and is an agent for Cruisair, Frigoboat and CLD Marine. He offers the whole range of refrigeration and air conditioning services and was again rated as an excellent professional. This all round yacht service company is headed by Javier Vives. They are appointed agents for MarineAir Systems, Cruisair and Climma and also service and repair all other systems including Condaria. 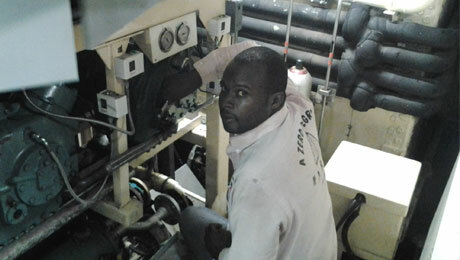 Tecnocean also offers service to the gangway and crane company, Opacmare.